Security is an increasingly important issue for business, and with it, the need for authentication. The use of biometric systems for personal authentication is a response to the rising issue of authentication and security. 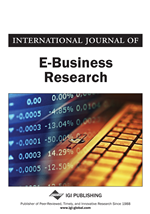 As with any new technology, user acceptance is often hard to measure, thus, in this work, a study of user acceptance of a biometrics authentication system in e-commerce, such as online banking within the Saudi society, was conducted. The study examined whether Saudis are practically willing to accept this technology by involving 306 participants in a large scale laboratory experiment that actively tested a biometric authentication system in combination of a survey. The Technology Acceptance Model (TAM) was adopted as the theoretical basis to develop the research framework in which the model has proven its efficiency as a good predictor for the study’s application. Due to the rapid development of e-commerce during the last decade, e-commerce activities such as online banking have become widely accepted in industrialised countries such as UK and partially accepted in less industrialised countries such as Saudi Arabia. The following table shows a comparison of the levels of online banking use in the two countries (Alsajjan, 2008) (Table 1). Securing online banking log in access is becoming increasingly important. Identity theft, hacking, and viruses are growing threats to online banking users. As more people use the internet, more identity theft cases are being reported. This could harm not only the users but also the reputation of the organisations whose names were used in these illegal acts. Over 8.4 million Americans had their personal information compromised during 20074. For the same year, the loss caused by referred complaints was $239.09 million. In 2007, the latest UK statistics have estimated losses due to online banking fraud at £22.6 m5.